Can you confirm these amateur observations of Lacertaspis reichenowi? Comment Synonymy partly after FUHN 1972. Specimens of this species from Musosa, on the Zambian border to Zaire midway between Lakes Tanganyika and Mweru, have been collected by H.J. Bredo in 1939 (Witte 1953). There are no other records from Shaba Province. Broadley (1998) stated that “it seems likely that these specimens werre mislabelled”. 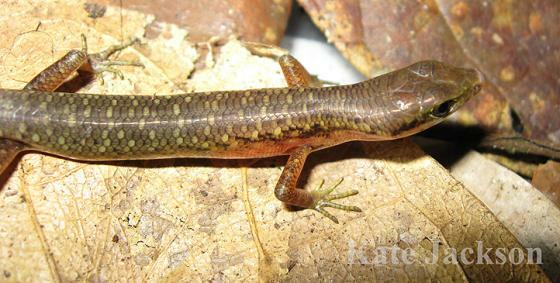 Type species: Lygosoma (Mocoa) Reichenowii PETERS 1874: 160 is the type species of the genus Lacertaspis PERRET 1975.